Committee – a person or group of persons elected or appointed to perform some service or function, as to investigate, report on, or act upon a particular matter; an individual to whom the care of a person or a person’s estate is committed; a person to whom a trust or charge is committed. .
– a group of people that forms when the stupidity of one person won’t suffice; A multi-legged creature with no brain; the unwilling, appointed by the unfit, to do the unnecessary. (Hat tip: Urban Dictionary). We don’t usually need an excuse to go to Wanaka but this weekend we had three – a long weekend and two invitations to parties in neighbouring Arrowtown. However, the weekend away, wonderful as it was, meant we missed one of the highlights on the North Otago calendar – the annual Steampunk ball and fashion show. The “punk” in steampunk is a rebellion against the present day preference for plastic and the disposable way of life. For many it is a search for where society might have taken the wrong turn at the end of the Victorian era. Over the last 30 years a subculture has built up where people around the world have created an alternative Victorian future. The future and it’s technologies have been taken back into the ornate and opulent world of grand fashion and gentlemanly manners, a future where there is a dark side of grime and the corruption of power that has to be overcome to create new and better world. It is also a world where women have an equal involvement in politics, adventure and social change. The opportunity is also taken to parody the developments of history as we know it. It’s an amazing amalgamation of art, science, history, humour and imagination. This year’s show attracted a school art class from Australia – 27 pupils from Shearwater, the Mullumbimby Steiner School, in northern New South Wales, came to Oamaru for a field trip. Steampunk HQ is based in Oamaru’s historic precinct. If you missed out on this weekend’s celebrations there will be other opportunities to appreciate the steampunk sensation later in the year. The Victorian League of Imagineers is planning to put together a steampunk XV for the Golden Oldies Rugby Festival which is taking place in oamaru from September 30 to October 2 as part of the World Cup celebrations. Steampunk usually features in the annual Victorian Heritage celebrations which will be held from November 16 -20. You can see photos of the fashion show in the Oamaru Mail ; read about it at TV3 and watch a video. Northland MP and minister outside cabinet John Carter delivers his valedictory speech today. The NBR reports that Tukituki MP Craig Foss will takeover his portfolios: Racing, Civil Defence and Senior Citizens, and also become the Associate Minister of Local Government and Associate Minister of Commerce. Following World Environment Day, Federated Farmers is to ask the Government to put protected areas on private land, such as QEII National Trust type covenants and Significant Natural Areas, on the same footing as the Department of Conservation (DoC) for council rating purposes. “Since 1977, when Federated Farmers was a driving force behind the QEII National Trust’s formation, well over 111,000 hectares have been voluntarily protected by farmers and landowners,” says Don Nicolson, Federated Farmers President. “The scale and determination behind this is equivalent to around the area of Egmont and Tongariro National Park’s combined. It’s that significant and it’s completely voluntary. A great deal of this land could have been surrendered back to the state under tenure review at cost to the taxpayer and benefit to the pastoral leaseholder. It would then not be rated and the cost of weed and pest control, fencing and maintenance would fall on the taxpayer. Since it is privately owned, landowners protect the areas under covenant, control weeds and pests and maintain fences around it to protect biodiversity at their own cost and the land is rated as it its productive. While covenants are voluntary, councils, under the Resource Management Act, have been requiring landowners to do more or less the same with Significant Natural Areas, or SNA’s.“While many councils have policies for remitting rates on voluntarily protected land, it hinges on a successful case-by-case application and does not apply to SNA’s. “Time has come to shed light on what landowners are doing and that could easily come by Government backing covenant holders and those landowners with SNA’s. “That’s as easy as putting protected land on the same footing as DoC land for council rates. Alternatively, if DoC paid council rates on the same basis as everyone else, it would greatly help reduce the financial burden on the rest of the community. While there is a case for not rating covenanted land as if it is productive, the cost of rates would just be spread over less land if its rating value was reduced or zero-rated. Rating Doc Land might be a better idea. Opponents to rating Doc land say that all that would do is shift the cost from ratepayers to taxpayers and it would. But generally the ratepayers are those of large but sparsely populated rural authorities and a lot of the pressure to keep high country land in public hands come from urban people. If DoC land was rated the cost of looking after it would fall more on those who want it in public ownership than the neighbouring community and Feds would have a much weaker case for calling for zero rating of land under covenant on private property. Did lower speed tolerance work? “We believe that lowering the tolerance has made a real difference to the number of deaths on the roads over the holiday periods”, said Superintendent Paula Rose, National Manager Road Policing today. The lowered tolerance was introduced last Queen’s Birthday after a disastrous Easter when 12 people died on the roads. That Queen’s Birthday weekend saw a huge turnaround with only two deaths and a more than 30 percent reduction in crashes. Since that weekend, during each holiday period Police have introduced the lowered tolerance and have seen a consistently lowered holiday road toll. “We think that it is making a difference and that as most drivers have now become used to the idea, it seems obvious to introduce it permanently. The lowered tolerance does have the unexpected benefit of making drivers concentrate and focus on their driving and their speed. This has spin-off benefits in making their driving safer,” said Superintendent Rose. This weekend had pretty good weather and that would also have played a part in reducing the accident rate but the superintendent’s last point is the pertinent one. If lowering the tolerance in itself was such an important factor it would be lowered all the time and not just at holiday weekends. Speed does contribute to accidents but it is not the only contributing factor. The lower tolerance at holiday weekends doesn’t just perusade drivers to reduce speed, it increases their concentration and that makes driving safer. So does looking out for police because it keeps drivers’ attention on the road. Although in spite of the warning that more police would be patrolling roads this weekend we drove from home to Wanaka on Friday, Wanaka to Arrowtown and back to Wanaka on Sunday and saw only one marked car. But coming home yesterday we passed three in less than a kilometre – two in Otematata, a very small township in the Waitaki Valley, and one about 100 metres past it. ANZCO chair Graeme Harrison has been awarded a knighthood in the Queen’s Birthday honours. It is worthy recognition for his contribution to agri-business. He is not only a leader in his business. His views on the meat industry as a whole are among few which show real understanding of its complexity and his passion for agriculture is unquestioned. Another meat industry leader, former Alliance Group chair and Southland farmer John Turner was made an Officer of the Order of Merit. 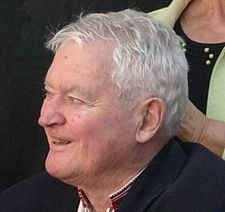 Chairman of the Alliance Group from 1998 to 2007 and director from 1987 to 2007, Mr Turner guided the company through a financial recovery to make it the world’s largest sheepmeat processor and marketer, with a turnover of more than $1 billion. He has been a strong advocate for the co-operative principles of ownership allowing farmers to become involved in the meat industry beyond the farm gate, encouraging them to become knowledgeable about the end user of their products and thus ensuring quality. 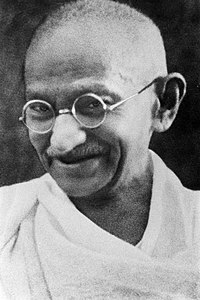 During his time as chairman he initiated a range of programmes encouraging farmers to be on the leading edge in the production and quality of their product and was renowned for his ability to examine situations from many angles and make sound commercial decisions. Sheep milking pioneer Keith Neylon was also made a Member of the Order of Merit. Mr Dooley is the head of Dooleys Masonry, the Ouse St business that has spread its influence around the globe. He has been a stonemason all his working life, learning the trade from his father and grandfather. 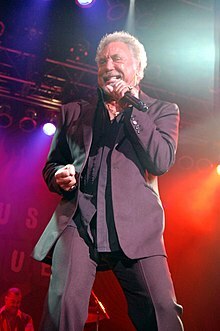 Although he turns 80 next month, Mr Dooley has not yet retired. However, he says he “probably” will at some stage. Sadly Des Templeton of Riverton who was awarded a Queens Service Medal died last week. The award was made for his contribution to the flax industry. Des Templeton may have died too soon but not before he turned his family business, a flaxmill operating at Otaitai Bush, into a scenic wonder of Southland, a museum of national significance as the only original flaxmill in New Zealand operating on its original site. Some sneer at honours. I know enough about the work each of these men has done to be confident the awards have been earned and are deserved. 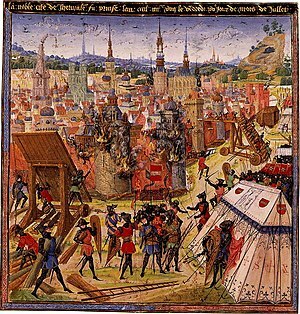 1099 – The First Crusade: The Siege of Jerusalem began. 1420 – Troops of the Republic of Venice captured Udine, ending the independence of the Patriarchate of Aquileia. 1494 – Spain and Portugal signed the Treaty of Tordesillas which divided the New World between the two countries. 1628 – The Petition of Right, a major English constitutional document, became law when granted the Royal Assent by Charles I. 1654 – Louis XIV was crowned King of France. 1692- Port Royal, Jamaica, was hit by a catastrophic earthquake; in just three minutes, 1,600 people were killed and 3,000 seriously injured. 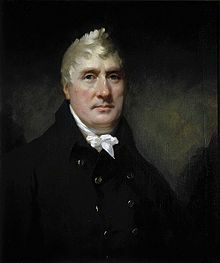 1761 – John Rennie, Scottish engineer, was born (d. 1821). 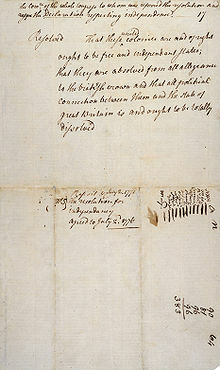 1776 – Richard Henry Lee presented the “Lee Resolution” to the Continental Congress; it was seconded by John Adams and led to the United States Declaration of Independence. 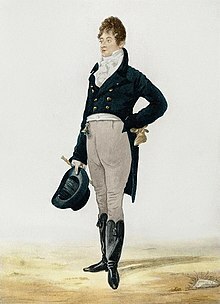 1778 – Beau Brummell, English fashion leader, was born (d. 1840). 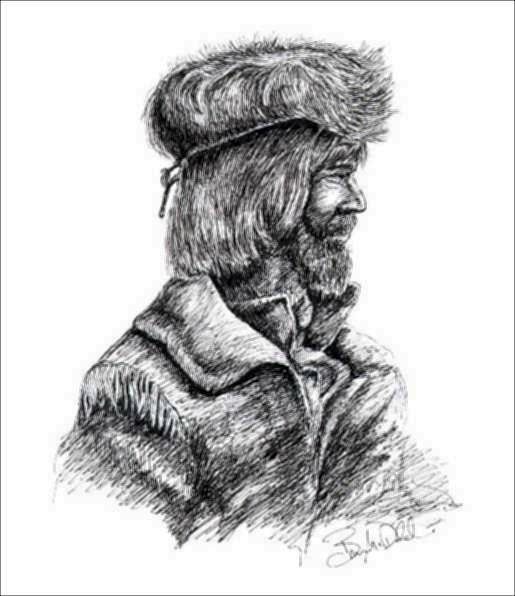 1800 David Thompson reached the mouth of the Saskatchewan River in Manitoba. 1831 Amelia Edwards, English author and Egyptologist, was born (d. 1892). 1832 Asian cholera reached Quebec brought by Irish immigrants, and killed about 6,000 people..
1862 The United States and Britain agreed to suppress the slave trade. 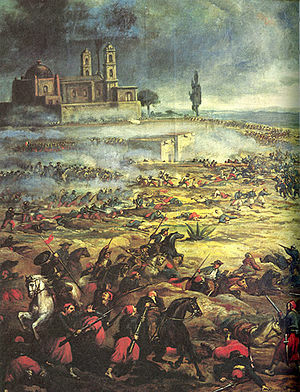 1863 During the French intervention in Mexico, Mexico City wais captured by French troops. 1866 1,800 Fenian raiders were repelled back to the United States after they looted and plundered around Saint-Armand and Frelighsburg, Quebec. 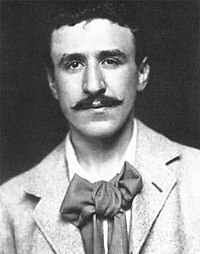 1868 Charles Rennie Mackintosh, Scottish architect, designer, and watercolourist, was born (d. 1928). 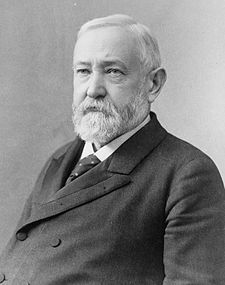 1892 Benjamin Harrison became the first President of the United States to attend a baseball game. 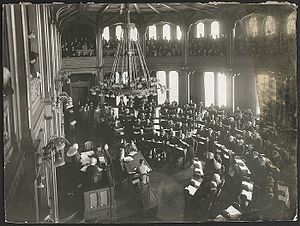 1905 Norway’s parliament dissolved its union with Sweden. 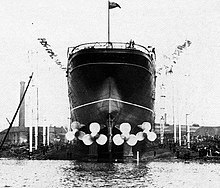 1906 Cunard Line’s RMS Lusitania was launched at the John Brown Shipyard, Glasgow. 1917 Gwendolyn Brooks, American poet, was born (d. 2000). 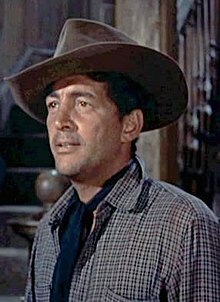 1917 Dean Martin, American actor, was born (d. 1995). 1917 World War I: Battle of Messines – the attack on Messines began at 3.10 a.m. with the explosion of huge mines that had been placed under the German lines by tunnellers. Almost immediately, New Zealand troops of 2nd and 3rd (Rifle) brigades left their trenches and advanced towards the ridge in front of them, on which lay the ruins of Messines village. Australian and British troops on either side of them did the same. 1919 Sette giugno: Riot in Malta, four people killed. 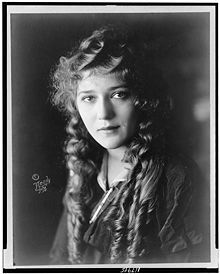 1921 Dorothy Ruth, American horse breeder; adopted daughter of Babe Ruth, was born (d. 1989). 1929 John Napier Turner, Canadian seventeenth Prime Minister of Canada, was born. 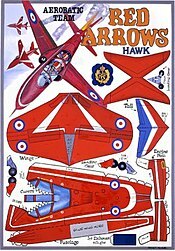 1931 Malcolm Morley, English painter, was born. 1936 The Steel Workers Organizing Committee, was founded in Pittsburgh, Pennsylvania. Philip Murray was elected its first president. 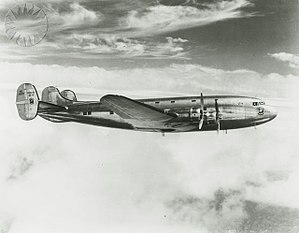 1938 The Douglas DC-4E made its first test flight..
1940 Tom Jones, Welsh singer, was born. 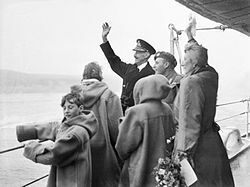 1940 King Haakon VII of Norway, Crown Prince Olav and the Norwegian government left Tromsø and went into exile in London. 1942 World War II: The Battle of Midway ended. 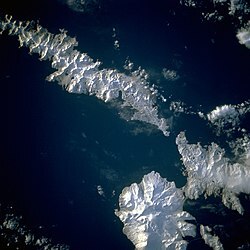 1942 World War II: Japanese soldiers occupied the American islands of Attu and Kiska, in the Aleutian Islands off Alaska. 1944 World War II: The steamer Danae carrying 350 Cretan Jews and 250 Cretan partisans was sunk without survivors off the shore of Santorini. 1944 World War II: Battle of Normandy – At Abbey Ardennes members of the SS Division Hitlerjugend massacred 23 Canadian prisoners of war. 1945 King Haakon VII of Norway returned with his family to Oslo after five years in exile. 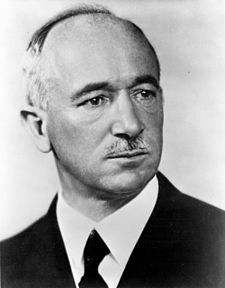 1948 Edvard Beneš resigned as President of Czechoslovakia rather than signing a Constitution making his nation a Communist state. 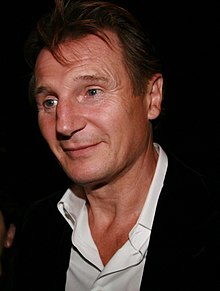 1952 Liam Neeson, Northern Irish actor, was born. 1955 Lux Radio Theater signed off the air permanently. 1958 Prince, American musician, was born. 1965 The Supreme Court of the United States decided on Griswold v. Connecticut, effectively legalizing the use of contraception by married couples. 1967 Israeli forces entered Jerusalem during the Six-Day War. 1971 The United States Supreme Court overturned the conviction of Paul Cohen for disturbing the peace, setting the precedent that vulgar writing is protected under the First Amendment. 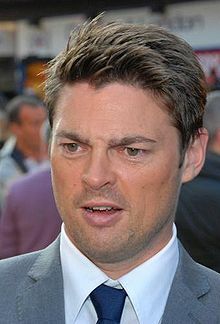 1972 Karl Urban, New Zealand actor, was born. 1975 Sony introduced the Betamax videocassette recorder for sale to the public. 1976 MacDonalds opened for the first time in New Zealand at Cobham Court, Porirua. 1977 – 500 million people watched on television as the high day of Jubilee got underway for Queen Elizabeth II. 1981 The Israeli Air Force destroyed Iraq’s Osiraq nuclear reactor during Operation Opera. 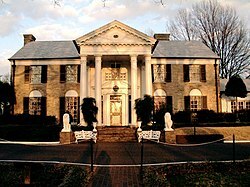 1982 – Priscilla Presley opened Graceland to the public. 1989 A Surinam Airways DC-8 Super 62 crashed near Paramaribo Airport Suriname killing 168. 1991 Mount Pinatubo exploded generating an ash column 7 km (4.5 miles) high. 1993 The Holbeck Hall Hotel in Scarborough, UK, fell into the sea following a landslide. 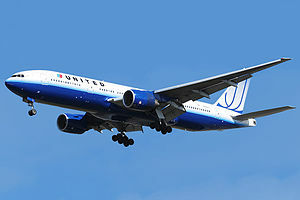 1995 The long range Boeing 777 entered service with United Airlines. 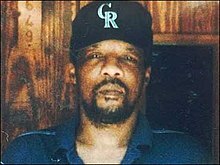 1998 James Byrd, Jr. was dragged to death in a racially-motivated crime. 2006 British Houses of Parliament were temporarily shut down becasue of an anthrax alert. You are currently browsing the Homepaddock blog archives for the day Tuesday, June 7th, 2011.